I went to a Japanese middle school, complete with uniform. Only a year and a half of wearing a blazer and pleated skirt every day, and I was ruined. I love to wear button-up shirts, as long as they’re untucked and not buttoned all the way up (as is cool and rebellious in uniform). I also really enjoy wearing ties, though I hated mine at school–maybe in comparison to the stupid clip-on, all real ties are awesome. 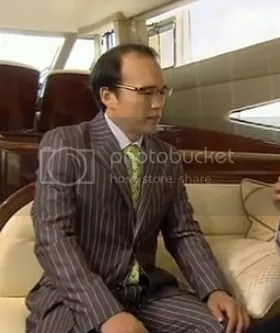 This is one of the highlights of K-Dramas involving white-collar professionals of any kind. I mean, this is a fairly staid example, but it makes the fact that he’s in a little rumpled disarray pop–without it being the actual complete relaxation of having the tie off. And what about this little lavender number, huh? I personally love the metro pastels coming out these days–I could spend hours in Express picking out which ones I’d get in a set…if I could afford even one of them, that is. But though I have had seasons of wearing ties, I need some new button-up shirts to get back in the habit, so temptation is fleeting. I don’t know why we keep going off the rails into Me Territory here, sorry about that. This suit is great, because the gray is lightened up by the pastel of the shirt, which in turn is being picked up in the neutral ground of the tie. I LURVE thinking about palettes. I would so be stealing this shirt and tie combo, and wearing them done up much more loosely, to taunt him. I have perfectly good shoulders, actually–I could be charitably referred to as having the “hourglass” shape, which means I’m broader across the shoulders than most girls of my stature. But there are times when suit envy makes me feel more about the male shoulder-line than just an impulse to play dead-drunk for a piggyback ride. The dark black between the brighter tie and the blue pinstripe is a color idea that I can borrow, though… fantastic. So yes. A lot of this is about envious thoughts, and mercenary desire. I mean, don’t you want to just run your fingers over this brushed flannel-appearing pinstripe jacket? You just don’t know how good you have it, pouty. The My Princess costumers and my whimsical sense of taste have been engaging in a rocky relationship, leavened by a dedication to a mutual cause–somehow appropriate, considering the subject. I have no such reservations about the other parts of the show, so it all rounds up? 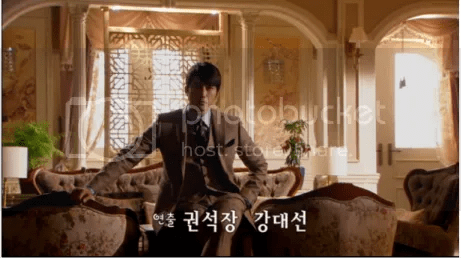 Park Hae Young is a diplomat, but also chaebol (monied child of business moguls). His outfits have more color beside the older generations and other officials, and often go over into sweater-under-sport coat territory of business-casual. This ensemble insists on the dubious brown afflicting the show. The tasteful tan redeems it here, and in this light it’s even subtle, over that lavender or baby-blue shirt. This light also makes the hues-of-mahogany dye job that all the characters seem arrayed with a lot more like a real Asian haircolor, tho’ not for long. Also, this is just a masterful piece of filming. My swoonings at my LiveJournal over K-Dramas, etc. 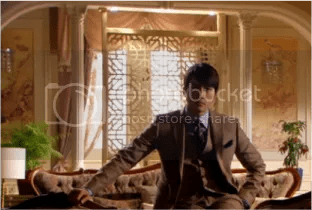 are full of the reasons they are superior to the other Asian dramas, but this is another gorgeously lit example. Good morning, Majesty. Meet YOUR DOOM.